Great cards! Stan Hack was/is really underrated. I dont know if I have a favorite card from '55 Topps but one that comes to mind is the Johnny Podres, just because it's from the year he beat the Yankees in Game 7 and won WS MVP. 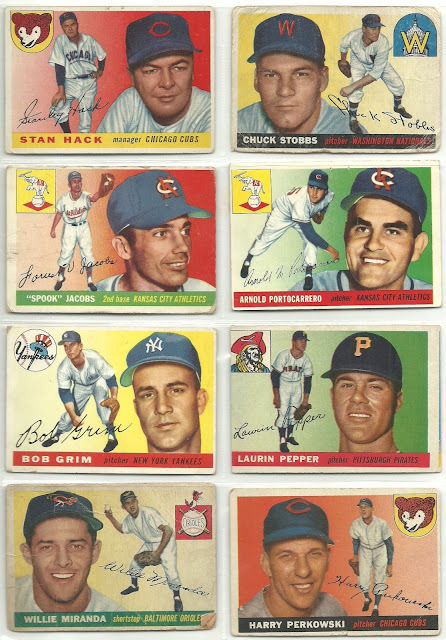 I appreciate that the 1955 set is exactly the middle point between the '54 design with two photos on a bright background, and the '56 design with the horizontal orientation and the clean lines of the nameplate and border. Without this step, Topps wouldn't have made it to the 1956 design, which is my favorite of the 1950s by far. 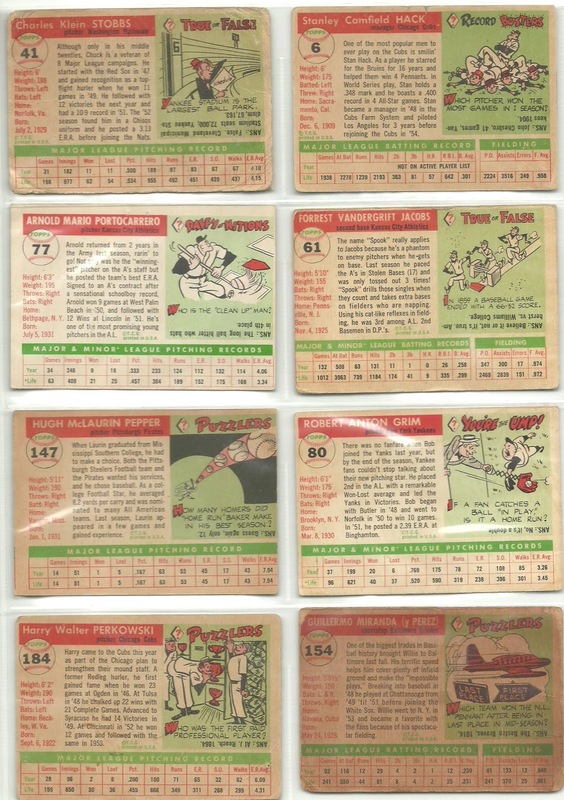 The Ted Williams card in this set is fantastic, I also like Wally Moon's giant eyebrow, Monte Irvin with the big corkscrewing swing, and as a Twins fan I have to list Harmon Killebrew's rookie card as a favorite as well. Hmmm. I don't know if I own any 55's. Glad to see two Athletics within your 8-pocket page.